Anyone wishing to construct a new or replacement well pumping over 50 gallons per minute must obtain a permit from the NRD before construction can begin. Permits are not required for test holes or temporary dewatering wells. All wells are required to be registered with the State Department of Natural Resources within 30 days after the well is completed. 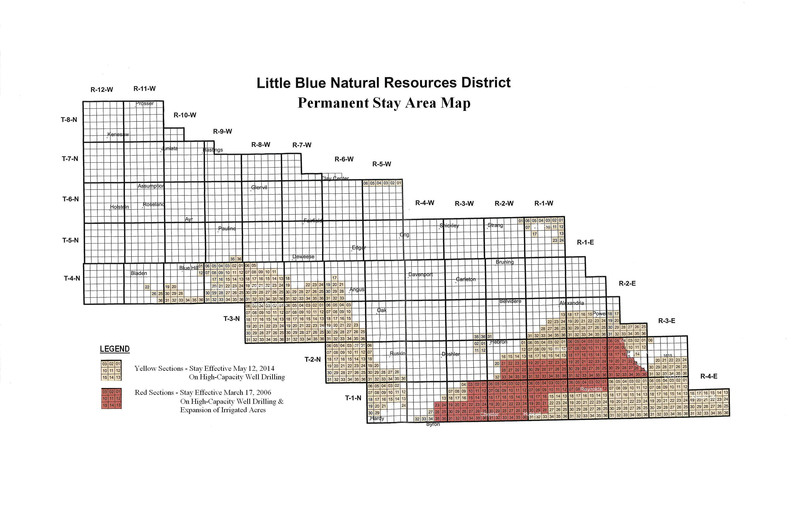 On March 17, 2006 the Little Blue NRD issued a stay on drilling wells, or a series of wells, that are designed to pump 50 gallons per minute or more and a stay on expansion of irrigated acres in an area titled Quantity Sub-Area 8. This program provides cost share for proper decommissioning of water wells according to Title 178, Chapter 12 of the Department of Health regulations governing water well decommissiong standards. All plugging activities must be conducted be a Licensed Well Driller or Pump Installer. Cost share assistance is 75% of actual cost, up to a maximum of $500 for all water wells other than hand-dug wells, which shall be eligible for up to a maximum of $700. 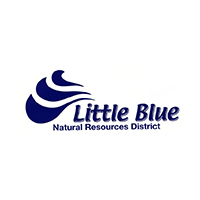 Prior approval by the Little Blue NRD is mandatory before decommissiong of a well can begin. Illegal and improperly constructed water wells provide a direct link from the land surface to the water bearing zones. These water wells can allow surface runoff to flow directly down to the water-bearing zones, often carying organic wastes, fertilizers and other chemical residues such as pesticides and petroleum products into the groundwater. Large-diameter illegal water wells represent a major safety hazard for humans and animals if not properly decommissioned. The design life of a water well can range from 20 to 50 years or more and is influenced by well design, groundwater chemistry, corrosion and encrustation. If water wells are not properly decommissioned they can contribute to the contamination of the aquifer or other water wells in the vicinity.